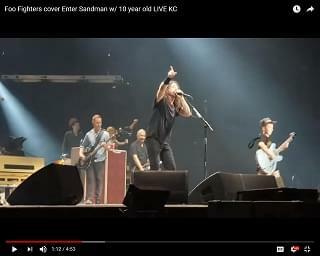 The Foo Fighters gave fans a treat on Friday night when they covered some Metallica with the help of a 10-year-old fan. Afterward, Grohl gave the boy the instrument as a gift, and jokingly threatened him not to sell it on eBay. He later wrote on Twitter, “lookout world, next generation of rockers coming soon to an arena near you.” The kid sure has talent.